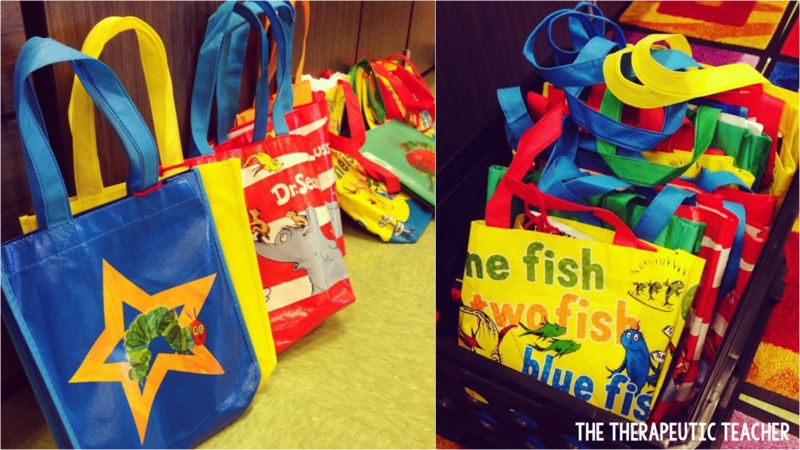 Flashback two years ago... One of the most unorganized parts of my day was scrambling to get homework copied for the week. I felt like I was sending random worksheets that weren’t “good” enough for class. And half my class wasn't even trying to get it completed. So flashback to last year, I decided to try homework journals. 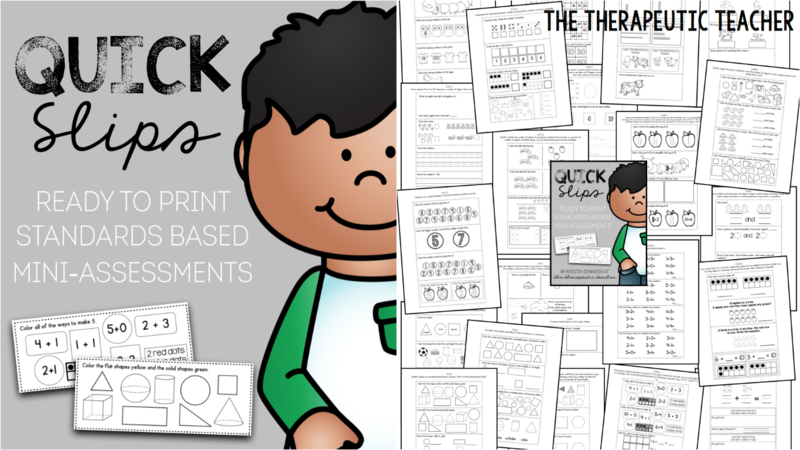 My main goal was to make the least amount of copies and have most of the work be written directly in the journal. Each week takes up two pages- Monday/Tuesday on the left and Wednesday/Thursday on the right. 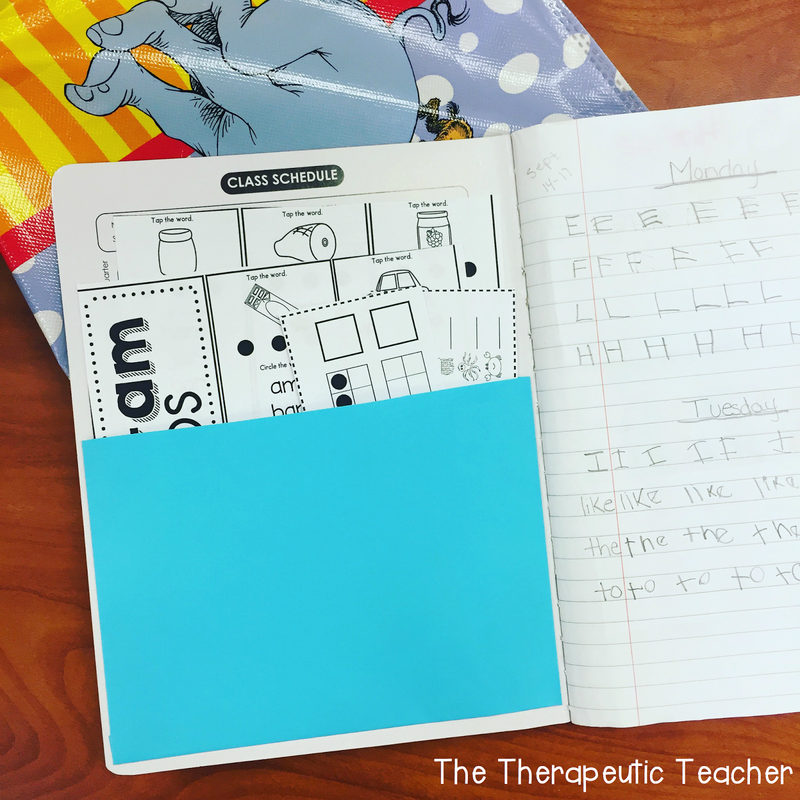 They took their journals home on Monday and returned them to school on Friday. It worked PERFECTLY! (And as teachers we all know how rarely that word is used.) I received such great feedback from parents that their child was actually learning and benefitting from the homework as opposed to their sibling who was still dealing with dreadful homework packets. 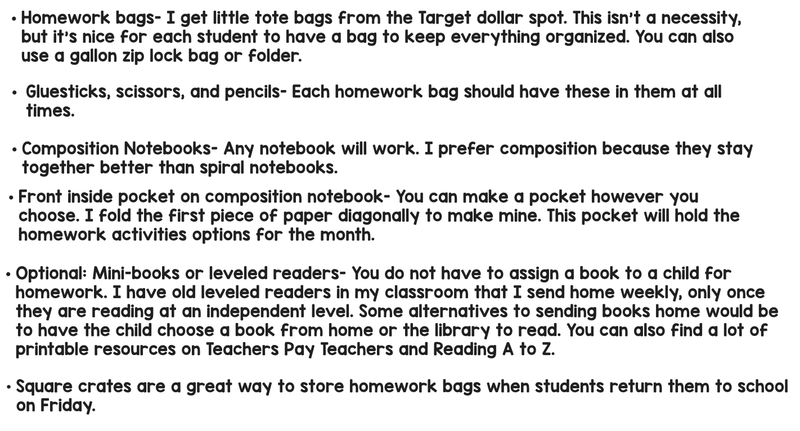 So here is what the first week of homework looks like (above). 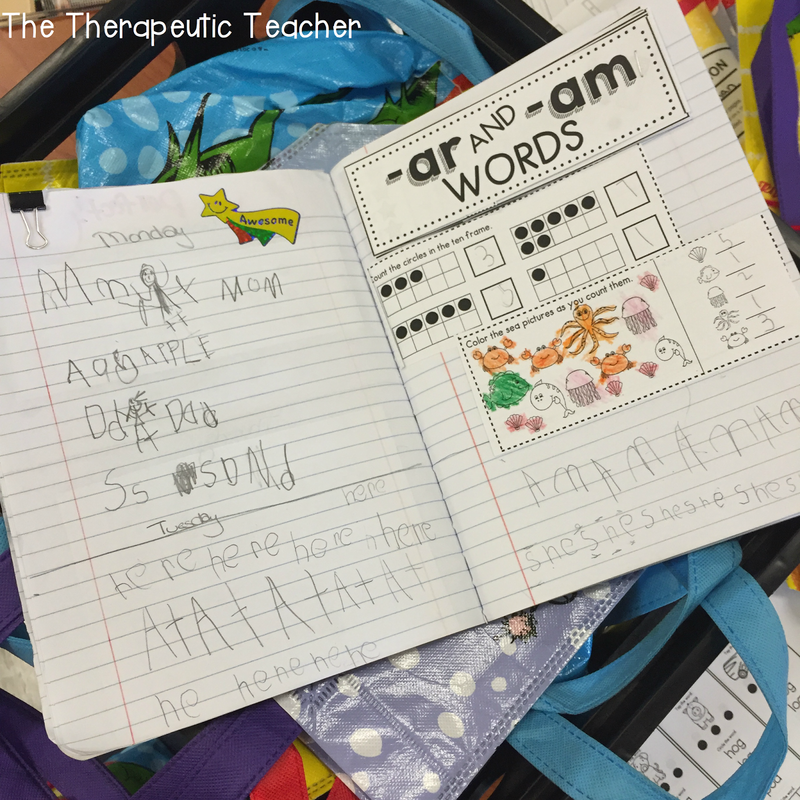 Right now, we are focusing on letters and sounds, sight words, word families, and basic number counting. 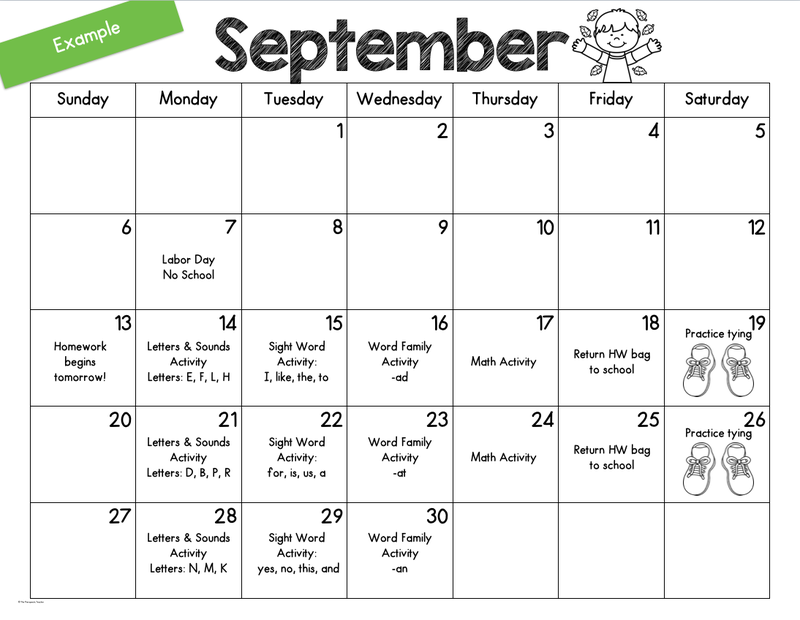 The monthly calendar tells parents what letters and sight words to focus on that week. 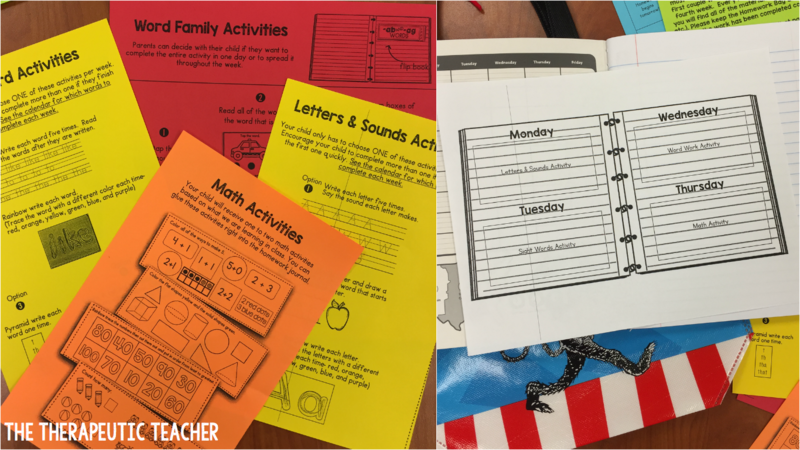 Students get a choice of which activity they need to complete. 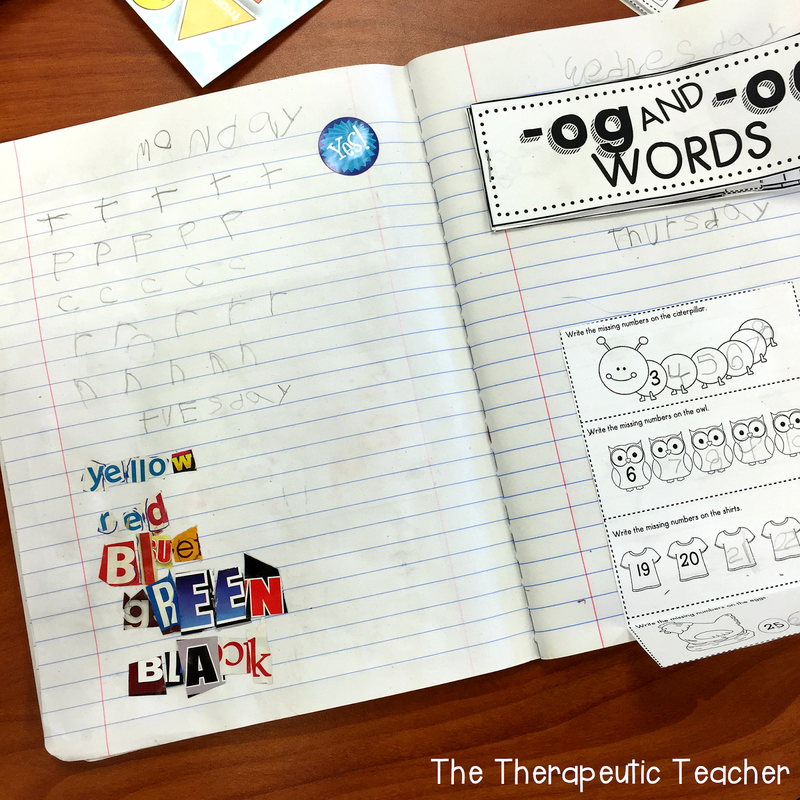 For example, the yellow paper pictured below provides 4 options of how to write sight words. They can rainbow write, pyramid write, write the word 5 times, or make cut out letters (pictured above). There’s a few things you will need to get started and it might seem like an overwhelming list at first, but not having to deal with homework for the rest of the year makes it so worth it. 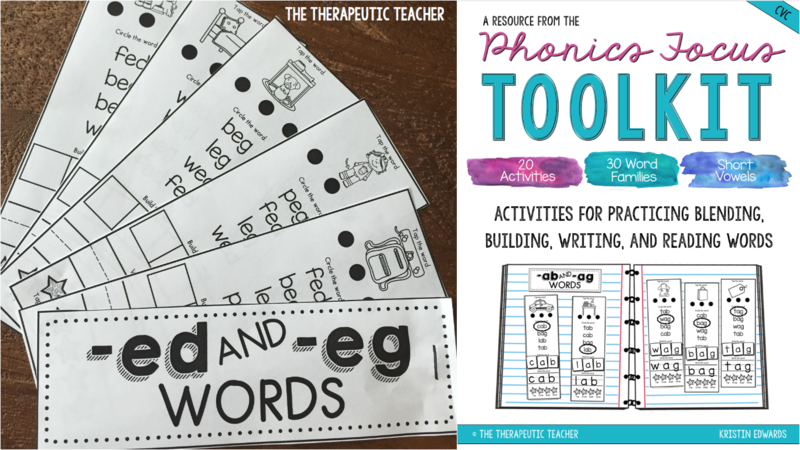 Once my little kinders are ready to move on from word families, we will start to focus on other areas of phonics such as digraphs and blends. 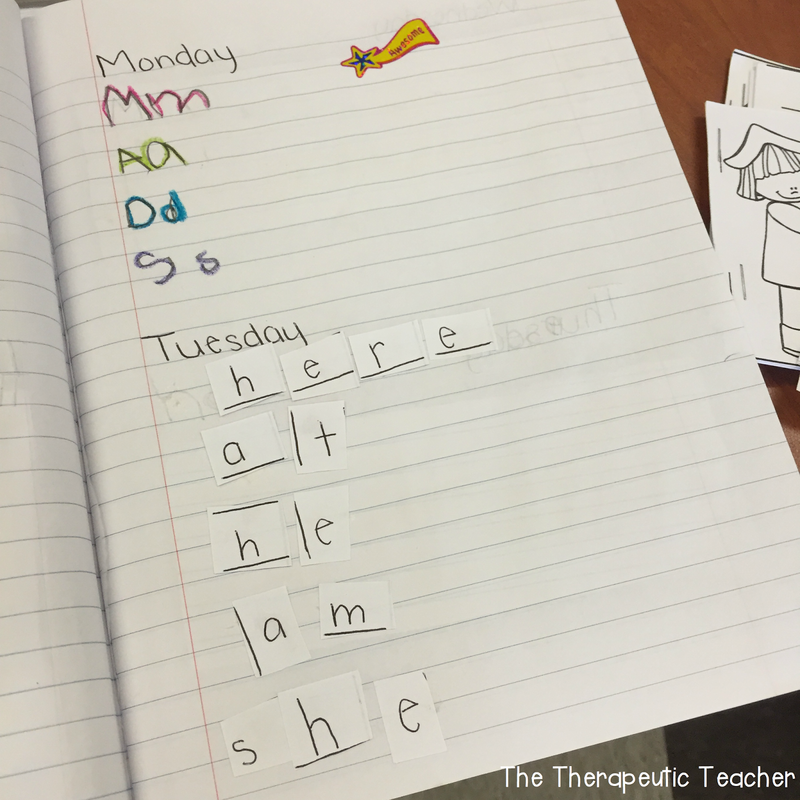 I will be using the same activity ALL year so parents and students will already know the activity and just the words will change. 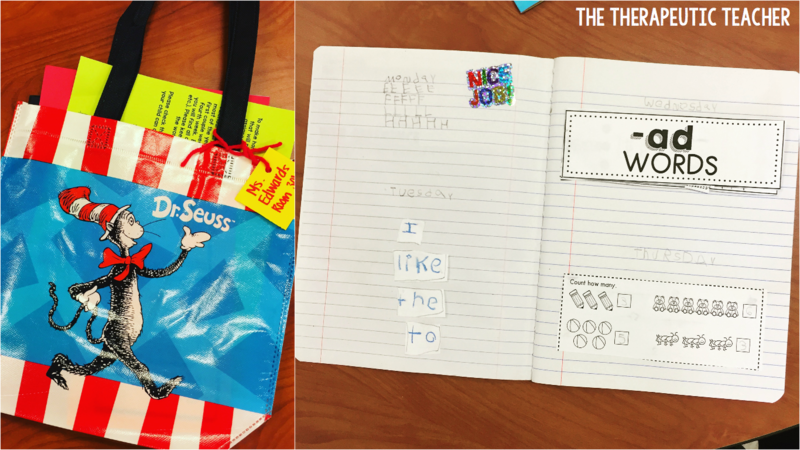 If you are interested in just using these phonics activities, click the picture above. I am SO excited that I have math already planned out for the year as well. 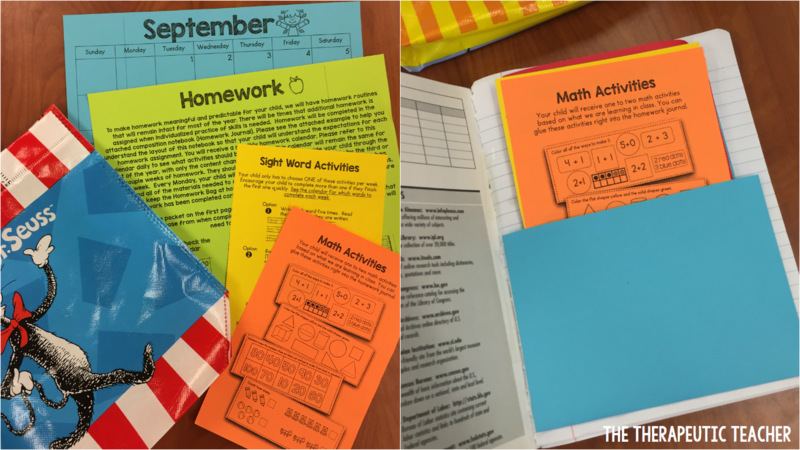 At first, these activities were going to be “exit tickets” or quick assessments, but how great are they for homework too!? I pre cut the questions I want them to answer so all the students need to do is answer and glue into the journal. If you are interest in using these as mini-assessments, click the picture above. 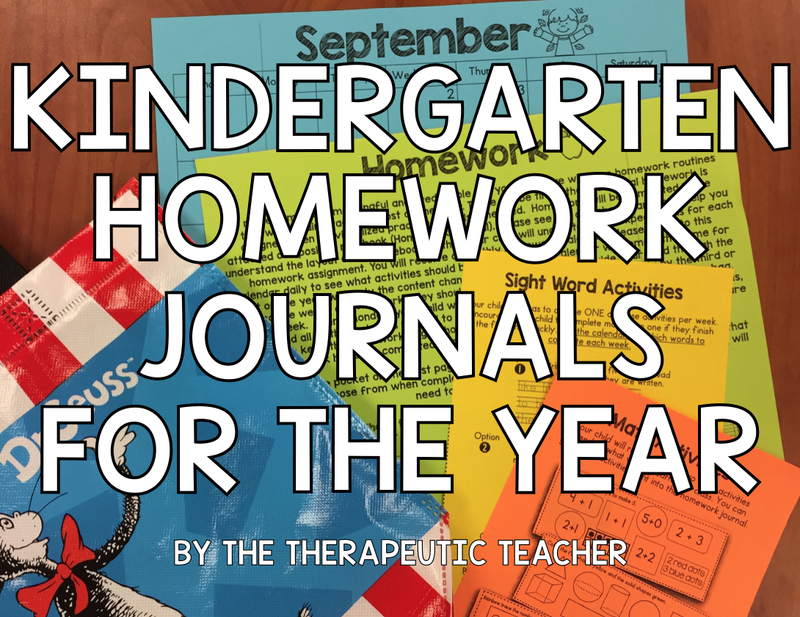 Interested in trying out homework journals in your classroom? Click the picture above or click here!